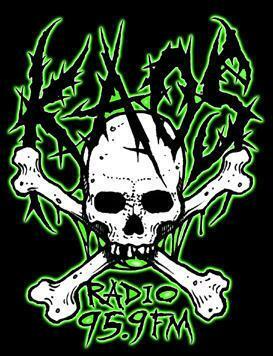 Unlicensed local radio station KAOS was shut down last week by the FCC. "It's above the limits for a non-licensed operation, and requires a license," Lee says in the video. "We're not quibbling with you. We're not saying the limit was 250 [microvolts] and you were at 255. We're saying your limit was 250, and you were 5,000, so you're grossly over the limit." The FCC allows unlicensed FM radio stations to operate at a "field strength" of 250 microvolts/meter, measured about 10 feet from the antenna. The FCC regulation operates based on the strength of the radio signal, not the strength of the transmitter, because certain antenna configurations can boost signal strength. "It's extremely low power," KUT engineer Brian Urban said. "That would allow you to broadcast about 100 yards. You might get a quarter-mile out of it. Might." Some pirate radio activists question the constitutionality of the FCC's jurisdiction. We tried tuning in this morning from the radio in KUT's front offices at 10:30 a.m. and no signal was broadcasting on 95.9 FM. However, the station is still streaming audio on its website.